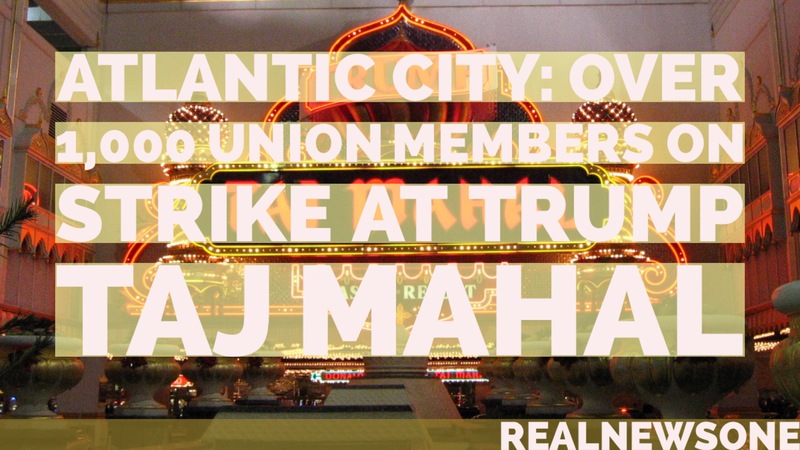 Over 1000 union members are on strike at the Trump Taj Mahal in Atlantic City. The members have been on strike since last week. Members are striking over diminished conditions. Staff have been stripped of their health care and pension benefits and have lost their half-hour paid meal break. The casino is owned by Trump Entertainment Resorts, a subsidiary of Icahn Enterprises, and managed by Tropicana Entertainment. Presidential hopeful Hillary Clinton has said workers at Trump Taj Mahal should be supported in getting a fair deal. In February 2016, Trump Entertainment Resorts exited bankruptcy and became a subsidiary of Icahn Enterprises. The casino retained the name “Trump Taj Mahal”, though Donald Trump no longer held any ownership stake.